Just a few minutes drive from Anakapalle village, lies Bojjannakonda in Sanakaram Village. It is in this Sanakaram village, the one of the famous tourist spot of Visakhapatnam, namely Bojjannakonda lies. Bojjannakonda is believed to be dating back to 4th – 9th century AD. 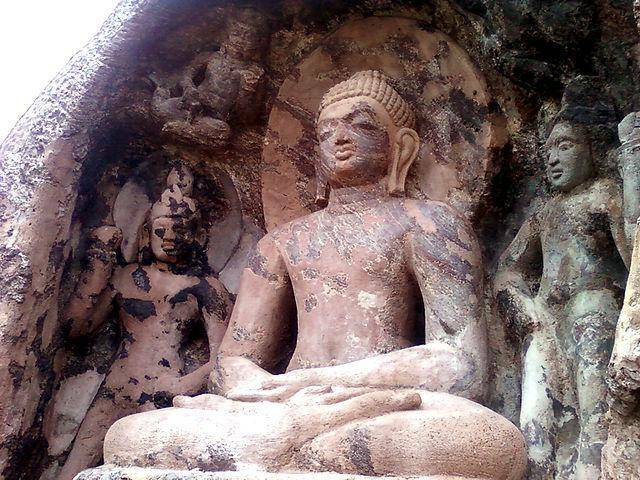 The place was once actually termed as Buddhuni Konda (Hill of Buddha). Also it is during this time period, the three important phases (Hinayana, Mahayana, and Vajrayana) of Buddhism evolved in this hillock. There are two hills in Sanakaram and it is in the eastern hillock Bojjannakonda is situated. Tourists can see the entire hillock wrapped up by green paddy fields. Monolithic Stupas, monasteries, chaityas, nearly six rock-cut caves etc will definitely enthrall its visitors. One can see a Maha Stupa whose dome is built using brick. Around this Maha Stupa, there are bunch of monolithic Stupas. Towards the north of Maha Stupa tourists can see well terraced Chaitya’s Grihas which served as Monasteries for Buddhist Monks. Archaeological Survey says that an image of Goddess Hariti lies on the foot of this Hillock. The sculptures of Buddha and his attendants can be seen on the panels of the rock-cut caves. In this place Vaisakha Pournami is celebrated in grand fashion.